Your very own personal hype girl & certified life coach! 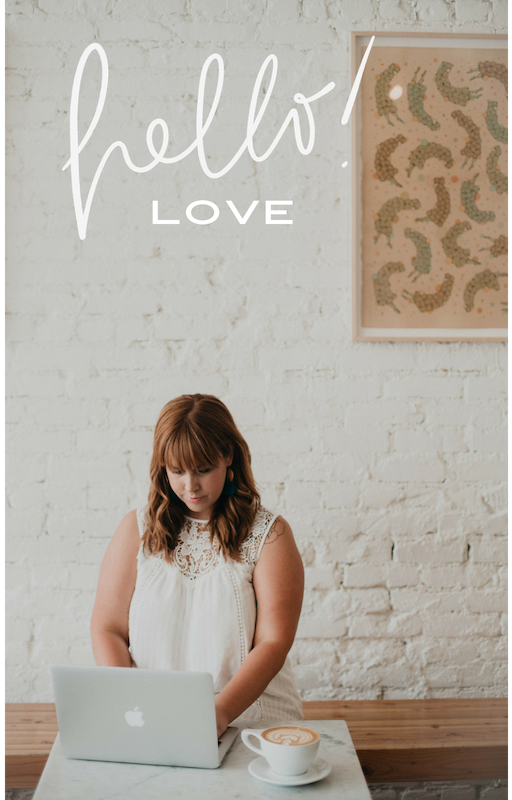 My obsession is teaching creative & ambitious women (just like you) to build lives & businesses they are wildly in love with! The truth is, you are already more than enough and you’re worthy of a life you love! Are you ready to break free from feeling not good enough, exhausted and unfulfilled? Are you craving clarity and peace? Are you ready to shed the “shoulds” of others and become the woman you were created to be? Does your heart skip a beat when you think about stepping into the truth that you were created for so much more? Are you ready to ditch the shame and hiding, and get to work building a life you’re wildly in love with? Well then, let’s go! Interested in working one-on-one? Looking to collaborate? Just want to say hello? Join my inner circle to receive love letters full of soulful wisdom + heartfelt musings.